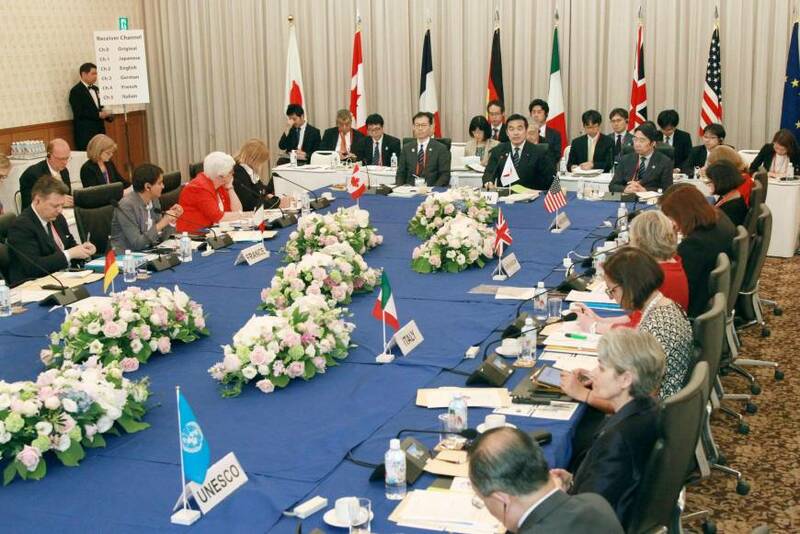 (May 23rd, 2016) In preparation for the G7 Summit May 26-27, G7 education ministers meeting in Japan have agreed to collaborate to improve education, including addressing the education deficits of refugee children and widening income inequality (with some of the latter linked to education deficits among low- and even middle-income people). The representatives of Britain, Canada, France, Germany, Italy, Japan, the United States and the European Union agreed to try to offer quality education to children of refugees and immigrants at a time when European countries have a huge influx of immigrants displaced by wars and poverty in the Mideast and Africa. This dovetails with UNESCO’s program in Global Learning and Global Citizenship Education, with which The Boston Global Forum has been working closely. The Japan Times als0 reported that the ministers also agreed to try to ensure equal opportunities for young people and women living in poverty, whether or not they are immigrants, in addition to boosting efforts to promote science and math education.